A minor logistics inadvertence might sabotage your event. Immediately the attendees start walking in, you will notice the details that are out of place and share them with your team. That is the primary reason you should get the logistics of an event right. Form the onsite and venue technology to contingency plans and staffing, the following steps should help you organize a successful event. Crowd management is an important part of running safe, enjoyable events and you should consider it at an earlier stage of your planning. If you are not to plan for the event alone, consult with the primary figures both outside and inside the organization including the event contractors, head of the department, local authorities, emergency services, the venue owner and the neighbouring businesses. That way, you will be able to identify risks and come up with mitigation measures. Working out the number of attendees to expect might be a challenge and that will highly depend on the type of event. Some companies deal with crowd calendars and fine art, while others handle almost everything including weather, the mercy of holidays and special attraction timetables. You will have to base all your estimates on the previous turnouts, attendance at similar events and advance ticket sales. Keep in mind that the venue will have a maximum capacity and you should plan – not for the people inside alone, but in case some guests will be queuing outside waiting to get in. If by any chance the event reaches or exceeds the capacity, you should have a plan on how to manage the excess guests. Ensure that the venue is accessible for every guest and the travel routes are safe for children and people on wheelchairs. Consider the expected demographic. Are the expected guests familiar with the format of the venue or will they need directions? Will the fans arrive earlier to get the best spot or do you expect the people to be flowing in and out constantly. 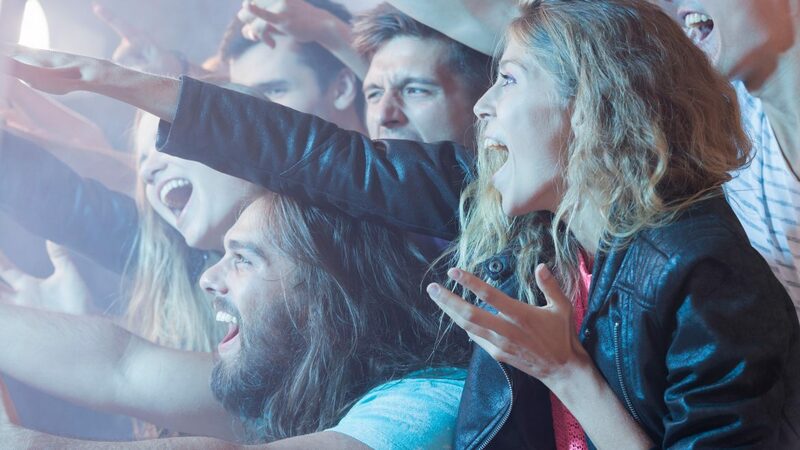 Some of the events are predictable, such as fans moving to the front immediately a football match ends, or immediately they hear a popular song and that might necessitate the need for a pedestrian barrier hire or purchase. You have to come up with a good way of sending messages to your attendees depending on the nature of your venue and event. A prominently displayed signage will provide an easier way of communicating the key information with a LED board showing the updates. Position the signs to ensure that they are visible from a long distance to prevent the guests from crowding around it. Ensure that all guests have access to maps – on printed promotional materials or on signs so that they can have alternative routes around the event venue. Include the accessibility issues that might make a route unsuitable for some guests. A PA system or stewards to share the key information are a good alternative. By maintaining an effective line of communication between your team members, you will reduce the chances of a crowd getting out of control particularly when crowds are hard to manage. Two way radios are the most reliable communication method, but verbal messages and telephone systems might be adequate in a smaller venue. Establish the formal procedure and language to allow effective communication. In case of an incident, you will know the person to call. Agree on names or codes to use so that you can reduce confusion and keep a single line for emergency use. In addition to the tips, you should remember to look for a safe venue. Come up with a schedule of the event so that everyone will know what to do.